I already check Potasium. My K: 380 now. You are doing very well , don't forget that G.Alexander tried to reach it as #6 said. The level of elemental improvement is recommended to increase slowly to avoid the pressure caused by corals. My tank now have many hair algae on the class and on the frag base. What should i do now to get rid of hair algae? Zeo coral snow will help me get rid of hair algae? 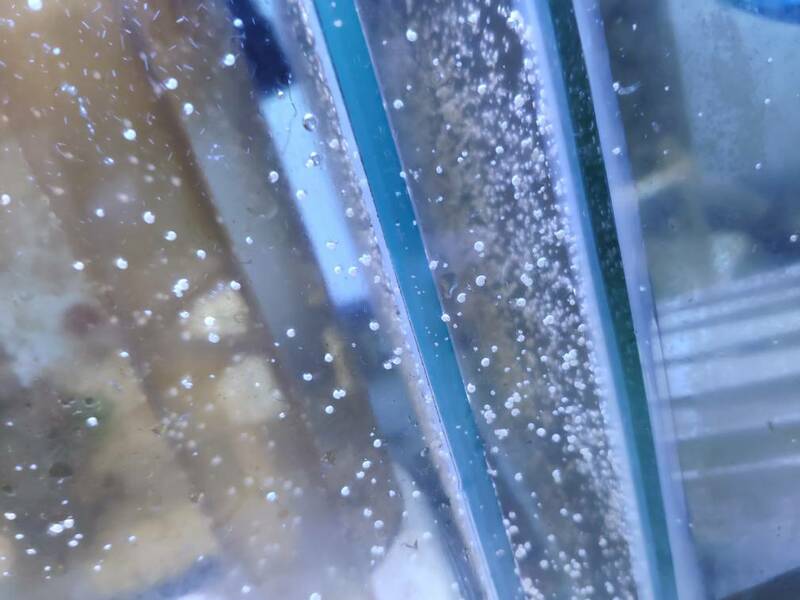 Yes, Coral Snow can help, 1ml = 100L = 25 US gallons, if it is me I will try every other day, skimmer adjusts the wet, every other day to replace the filter socks, the toothbrush to clean it, maybe a certain stone material relationship, If you can try to check the Ro/di quality (confirm that it is no problem to exclude ro/di), the tank is still young and the nutrients are believed to disappear over time. Do you think the ocean block will be a problem? Plz clarify what u meant about the nutrient. I dont understand what meant about that? To support the hair algae treatment you can dose CoralSnow up to 3 ml / 25 US gallons daily for one week. Beside doing this manually remove the algae with a brush regular as Jacky has mention. Additional add herbivore like snails to get rid of the algae, they usually eat them when they are short and growing back. Do as G. says, and check if ZeoVit traffic is at a normal level. This should be a normal phenomenon. I don't know how to describe its name. It can often also indicate the amount of organic matter, no harm to tanks and corals. Not exactly they are common and usually grow in the darker areas and in the sump. It is any kind of a snail if they do move. Thanks U jacky and MR G allways try to ask my answer.